Quality engineers often find it can be difficult to define which specific information they need to use on their resumes for a particular job. 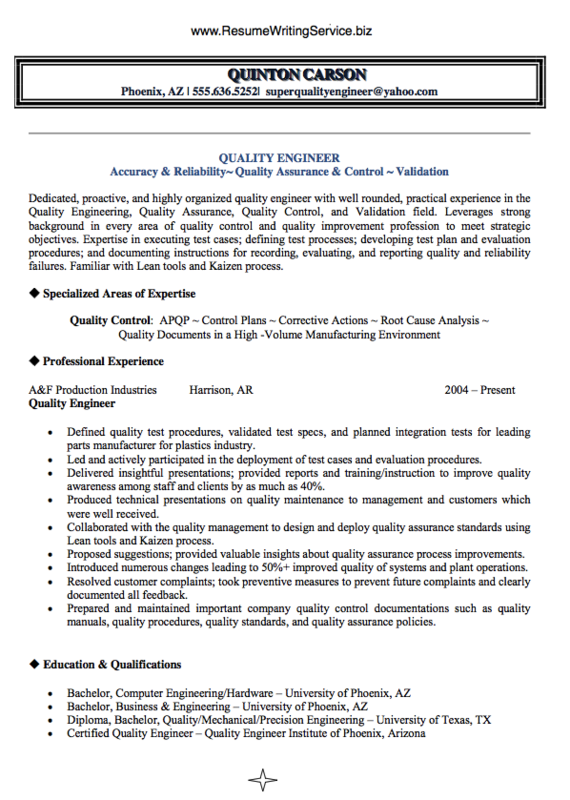 If you’re doing a senior level manufacturing and civil engineer resume for quality control, or a test engineer resume, the information needs to be very well organized and laid out. The best way to do this is also the simplest – use the employer’s requirements to define your resume information. Best practice for writing a quality engineer resume is to literally go through the job criteria methodically and address each requirement or try professional CV writing Netherlands. This also avoids the risk of not addressing skills or other requirements, which can sabotage your application. 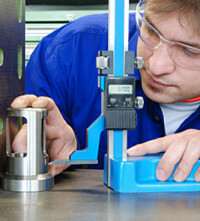 Skills – One of the two most important sections, this section may require careful management. Qualifications – The other critical section, requiring you to spell out your credentials. Show your career goals in context with the position. Focus on showing a full set of skills to match the job criteria. The checklist approach will make sure that you address all the requirements, but make sure that you do. A missing skill may mean you don’t get an interview. The risk with this section is leaving out information that is important, like certifications, professional credentials, or other qualifications. Be patient and be careful with both Skills and Qualifications sections, because these are the sections which will get you the interview and the job. This field is highly competitive, particularly at senior levels. Remember you’re competing with other professionals and put in the time and effort to make sure that your resume presents well. The fact is that an engineering resume that looks good will do better than a resume which has great information but looks poorly presented. Be prepared to redraft your entire resume from scratch, if necessary. Do NOT cut and paste from an old resume. Do a new resume, and go through every line, doing a “quality control” on your resume, exactly as you would on the job. It will be worth it. The Bureau of Labor Statistics has plenty of useful information for quality engineers regarding salary, stats and more. You can use the BLS website to explore the prospects in your profession.